A new study shows that the number of families who are struggling financially is more than triple the official poverty rate. By traditional indicators — unemployment, inflation — the U.S. economy is blazing. But for many American families, it's their house that's on fire: Almost half can't afford basic necessities like rent and food, a new study says. 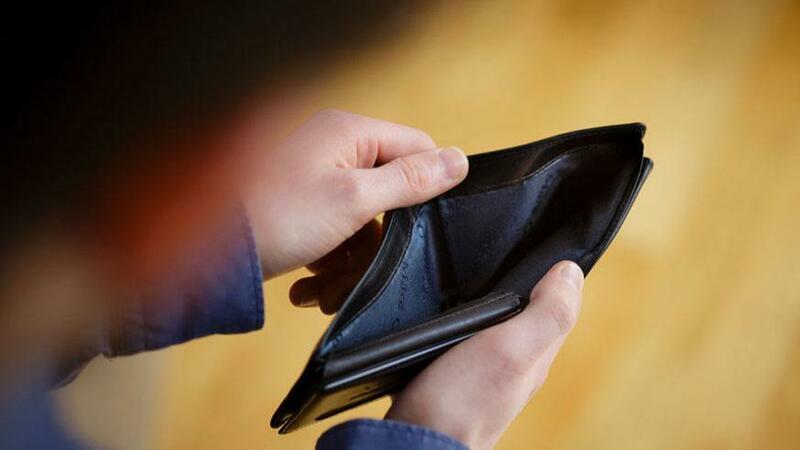 Nearly 51 million U.S. households — or 43 percent — don't earn enough to cover their monthly bills for housing, food, child care, healthcare, transportation and a cellphone, according to a report released by the United Way ALICE Project. That number includes the 16.1 million households living in poverty, along with the 34.7 million families the United Way has dubbed ALICE: Asset Limited, Income Constrained, Employed. Frequently called the "working poor," the group doesn't make enough to make it in today's economy. "Despite seemingly positive economic signs, the ALICE data shows that financial hardship is still a pervasive problem," said project director Stephanie Hoopes. "The official poverty rate is about 13%, but a report to be released by United Way today reveals that a full 40% of Americans cannot afford 'middle class basics'," tweeted noted economics writer Barbara Ehrenreich yesterday. "That’s one huge sea of misery." Why? Wage growth hasn't kept pace with inflation — it's been largely stuck in place since the Great Recession a decade ago. If the minimum wage had kept pace with economic growth, it would be $19.33 an hour, the Economic Policy Center says. It has been $7.25 since 2009. The United Way is spotlighting the ALICE demographic because poverty statistics don't count people who earn above that line but are still struggling financially. Many have jobs that used to provide at least a subsistence-level income: Retail salespeople, home health aides, cashiers, office clerks. Most don't have savings, meaning that an unexpected car or medical expense could put them at risk of bankruptcy. The organization says the study's aim was to "make the invisible visible" and accurately guide equitable wage policy. "Remember this next time someone tells you how great the economy is doing," tweeted writer Christopher Ryan today. "For whom?"